Your business houses sensitive, private information on its servers. It is important to protect the connections accessing your network, whether it is your other locations or a remote worker. Did you know cyber attackers can hack into public WiFi networks and use it as an entry-point to your corporate data? Anyone tapping into sensitive data on a company server should be using a secure VPN. 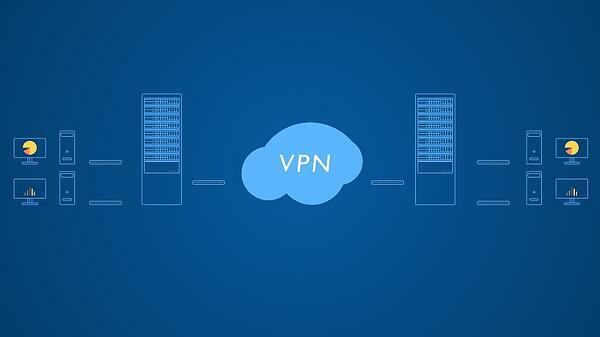 Let’s talk about what a VPN is exactly, and how it can benefit your business. VPN stands for Virtual Private Network, and it’s just like it sounds: a private network connection. 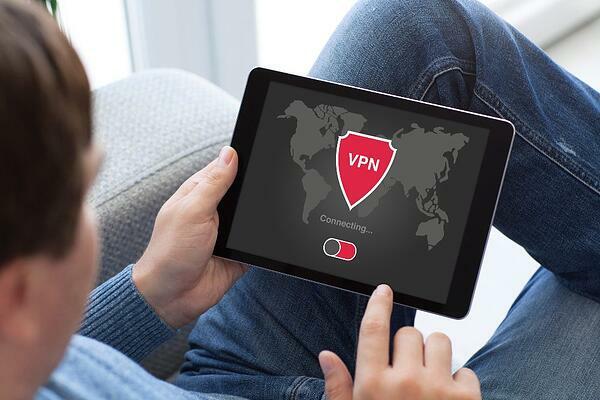 In the same way that a firewall acts as a shield between your data and cyber threats, VPNs help to protect you while remotely accessing your network or using an internet connection. Here’s how it works: this Virtual Private Network connects your device to another server (AKA computer) somewhere else on the internet. This way, you’re browsing the internet using that computer’s internet connection, not yours. Think of the word “private” in Virtual Private Network as synonymous with “secure.” A VPN keeps your different connections secure. There are three types of VPN connections: Site to Site, Client to Corporate and Protected Internet. When examining your VPN needs, some VPNs can perform multiple connections. Site to Site is the most common VPN connection for businesses, because it connects one location to another, protecting the traffic that travels between them. This is how different offices of a business can still operate under the same network. Basically, the VPN extends your network and resources from one location to another, allowing your different locations to share the same resources with the comfort of a protected network. Client to Corporate allows individuals to use a VPN connection to gain access to a network. This enables on-the-go employees to access your network and server’s resources under protection. Some businesses have common misconceptions about data breaches. They may think, because they have security software installed on a device, like an antivirus or a firewall, it means they’re protected from cyber threats. But that’s not always true. With a VPN, the remote device behaves as if it’s on your network, even if the employee is miles and miles away, and your workers can securely access local network resources. For example, our sales team is always on the move. If they want to download a flyer that would answer a customer’s question in an email, they can VPN to Access’ network to reach the flyer. Some Client to Corporate VPNs have tunnel mode, which means all traffic funnels through the VPN, not just the individual who is remoting in. With so much traffic on the VPN, it can cause slow speeds if not calibrated correctly. Protected Internet is exactly how it sounds. It protects the user’s Internet connection from a cyber attack. Regardless of your location, connecting to a VPN keeps your internet browsing private, encrypted and anonymous. Essentially, it masks your IP (Internet Protocol) address, fooling the internet and sneaky cyber criminals into thinking you’re connected from somewhere else. So, instead of being connected to the Starbucks WiFi, you appear to be connected to a secure endpoint. Cyber criminals are known for stealing information over public Internet connections, and it isn’t limited to your browsing. In addition to viewing your browsing data, sneaky hackers can clone Wifi networks (pretending to be the WiFi of a trusted public business) and steal your passwords or gain access to your accounts too. Or, cyber attackers can conduct denial-of-service attacks, flooding you with so much traffic that it takes down your network. 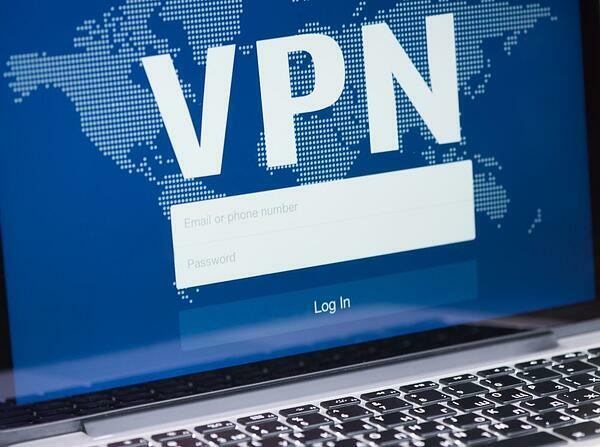 VPNs can be very useful for connecting your corporate office’s data and networks to your other locations and remote workers; however, they need to be properly implemented. An IT professional can help you connect and secure your business network by developing a safety plan for the Virtual Private Network setup. A strong VPN will include multi-stage authentication, encryption and more to ensure your servers are only accessed by your employees and protected against outside threats. Your employee may experience a loss in speed when connecting to the VPN. Oftentimes, this slowness can be caused by a number of factors, including: how strong your server is, how many people are connected to the server, the employee’s distance from the server, the nodes and access points between you and the server, etc. A knowledgeable IT team can help you troubleshoot any lag problems and ensure your remote employees have a speedy, reliable connection. Ensure that all remote workers’ devices— or the devices of anyone who accesses your company data on-the-go— are secure, using the help of a VPN. Here at Access Systems, we can help you protect your network, so you can focus on running your business. Contact our team at (888) 464-8770 or by filling out this form today.